Hello, there! Here, we are! Back with a bang! Now, that was fast, isn’t it? We're particularly fast this time around; now please tell us that we're keeping up with the promise of coming up with interesting blogs more regularly. Yeah? Thanks, sweets. You're awesome! Alright, so today, we'll speak about something ancient; something that belongs to several ages ago; something that still find their remnants in today's world. Umm... You’re thinking. Okay. Did You say civilizations? Well... Not really! Ah! Let's give you a clue -- it's something that lived several years ago. Mummies? Arghhh... No! We're not celebrating Halloween this month, are we? Nah, so it's not that. Uh… Guess we heard it as Dinosaurs? Yeah? Fab! Exactly! You guys are a genius; great! Yeah, we're talking about dinosaurs and how they have been making news since time immemorial. The fossil imprints, the discovery of unique kinds of bones and teeth and the studies of ancient life pattern on the planet – these things give ample evidence that dinosaurs very much existed. In fact, they lived for centuries on earth before they were wiped away due to changes in the planet’s weather conditions, survival of the fittest theory and similar tales. So yes, dinosaurs are no fairy tale characters; once upon a time, they were all out and kicking, quite literally! Hey, but wait! How did we even start wondering about the existence of dinosaurs? Good question. Here’s a small anecdote about the same: Apparently, The story of their discovery began way back in the 1820s, when Gideon Mantell, an English doctor, found some unusual teeth and bones in a quarry. Dr. Mantell realized there was something very different about these animal remains, and believed that he had found an entirely new species of reptiles. By 1841, about nine types of these various reptiles had been uncovered, including two called Megalosaurus and Iguanodon! Now, that’s what discoveries can take us towards, right? Seriously, folks, Curiosity is the Wick of Learning! At this time, a renowned British scientist, Dr. Richard Owen, coined the name “Dinosauria,” meaning “terrible lizard,” for this is what the huge bones made him think of. Interesting name, isn’t? We totally think so. Do you guys know the real aspects which make dinosaurs such unique creatures? Sure, we’ll tell you. We, at Best Brains, are after all here to make you erudite about various aspects so here we go proving that: Of course, dinosaurs were mammoth giants with some of them reaching several meters, but that’s not what makes them unique, idealistically. 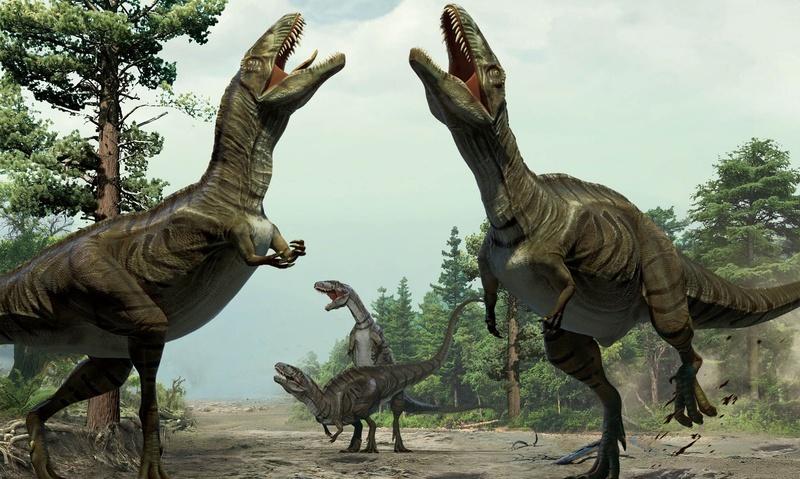 Dinosaurs were distinct creatures because their limbs were placed in the same way as most present day mammals do and they used to stand and walk erect. Most other reptiles have limbs in a sprawling position. For instance, dinosaurs – unlike crocodiles that were also reptiles – had their limbs placed in similar positions like that of a cow yet the dinosaurs were reptiles and had an erect posture. This distinctive characteristic made them different from the rest of the other mammals. Okay, well, guess we forgot to tell you the most important thing! Yeah….! Actually, we wanted to ask you if you’ve been to the exhibition set up to display Titanosaur in New York’s Museum. No? Haven't you? Oh, come on! It’s such a great place to be. Not convinced? By the end of this, you will be; we promise. Titanosaur – the largest animal to ever walk on the surface of this planet – is the newest invader at New York’s Museum. In fact, the Titanosaur is so enormously big that it doesn’t fit in a room! The Titanosaur’s head and a portion of its 39-foot neck poke out of the doorway of the main gallery, where the top of the skeleton barely grazes the 19-foot-4-inch ceiling. So, all those of you who said that the Blue Whale has always been the biggest animal in this world – are wrong, at least, Blue Whale couldn’t be as tall as Titanosaur, we can assure you. The Titanosaur dates back to the Cretaceous period, the age that ended with the mass extinction of dinosaurs, but the story of this particular specimen dates back to 2012 when a rancher in southern Argentina reported to the Museum of Palaeontology Egidio Feruglio that he found fossils on his land. By 2014, palaeontologists visited the desert site near La Flecha, part of the Patagonia region of Argentina, and excavated 223 fossil bones belonging to six dinosaurs at the site. Now, tell us, wasn’t this convincing enough. If so, then we urge you to get ahead and get going. Ask your parents or elders to take you to New York so that you can let your eyes gaze at this mammoth piece of beauty that stands tall in the New York Museum. And if you stay in New York, then hey, you’ve to, have to visit the place at any cost. So, take this weekend down south and let yourself get totally in awe with this huge creature that someday – millions of years ago – had walked on the same land as you and I. Sound scary, isn’t it? Yikes!! !